Steve has been teaching Kizomba for TLC in Southampton since 2010 when he travelled to Portugal to gain the essence of this beautiful dance from Benjamim Nande in Portugal, and everyone has really taken to this intoxicating dance. Kizomba originates from Angola and is the result of an evolution: of younger generations listening to traditional music like semba, and adding a modern touch with electronic percussion and a slow sensual rhythm. Although it was created in Angola it is often considered Portuguese due to it being sung in Portuguese and its popularity throughout Portugal. The music has a romantic flow mixed with African rhythms. It is known for having a slow, insistent, funky urban, yet sensuous rhythm; the result of electronic percussion. It is ideally danced accompanied by a partner, very smoothly and slowly, though not too tightly. The vocals are generally sung in Portuguese or Cape-Verdean Creole. The dance is sensual, and can also be done to Semba music, which is usually faster paced than Kizomba. We have Kizomba classes by TLC every Monday (except Bank Holidays) and on Fridays at our monthly Salsa Caliente party nights. See the Events page for dates. 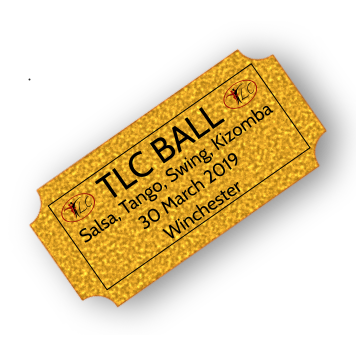 Also, look out for the annual TLC Ball at Winchester Guildhall, with a dedicated Kizomba room. Monday Kizomba is run by TLC at the TLC studio. If you are new to Kizomba, you will need to have some prior dance experience in another dance (e.g. tango, salsa, ballroom, bachata etc). If you haven’t been to TLC classes before, please ask one of the teachers to advise on which class you should take. We also have vouchers available to purchase as a gift, for any of our individual classes or courses. These classes are only open to Intermediate & Advanced dancers, but the social dancing in the dedicated kizomba room is open to all levels from 9.30pm – 1.00am. Cost: £10 all night (£5 concessions) including free tea & coffee.